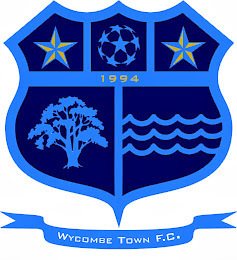 Wycombe Town FC: TOWN HELD! Wycombe Town FC first team drew 1-1 with high flying Barn Club in a match where Town dictated most of the play with some scintillating passing football with Barn Club relying on counter attacks. Town missed umpteen chances to win the match especially when a Barn Club player was dismissed with 15 minutes to go but the Barn Club keeper played heroics to keep the ball out of the net. 'Butch' Butcher scored Towns goal from the spot after 'Boxer' Nicol was brought down for a penalty in the first half. The Reserves visited Seer Green FC and in an even game should have done better but lost 1-0.